Even though there are more than 40 beaches on St. Thomas, it’s hard to find a very long stretch of runnable of beach on the bluffy coast of St. Thomas. 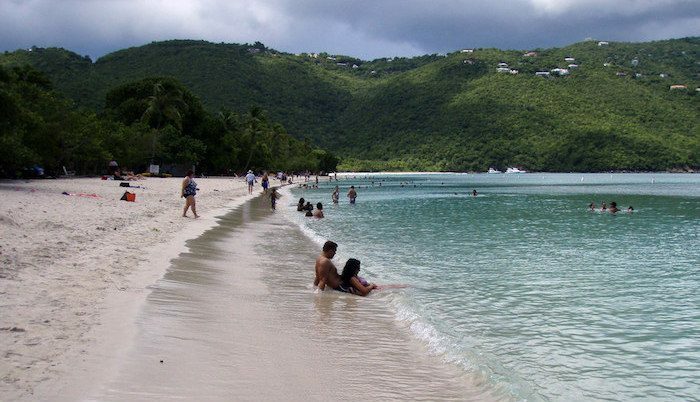 The best bet is Magen’s Bay, which has a 1.5 mile long beach on quite runnable sand. You may have to do a few laps to meet your mileage requirements, but the scenery of this tropical beach won’t get old. If running on the sand does get old, you can bail onto the paved cement pathway which borders most of the beach.